They heard us when we cried, "Don't Make Me Wait". A couple of weeks ago, we shared the news that yet another one of the boybands we grew up with will be performing live in Malaysia later this year. The British boyband announced the biggest 'Reunion' party of the year that is set to happen on 22 June, 8.30pm at Quill Convention Centre, Kuala Lumpur. This will mark Lee Brennan, Spike Dawbarn and Jimmy Constable's first show in Malaysia in nearly 20 years! After the long wait, we finally have more details on the ticket pricing and sale. 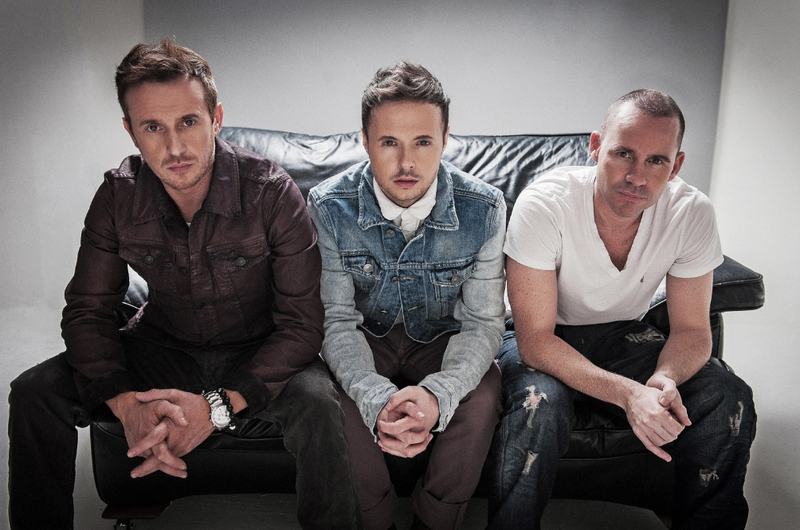 911's 'Reunion' concert tickets will go on sale from 10am onwards on 18 April at www.travel360.com. The tickets are priced from RM98, RM158, RM258 and RM398. That's not too bad, right? 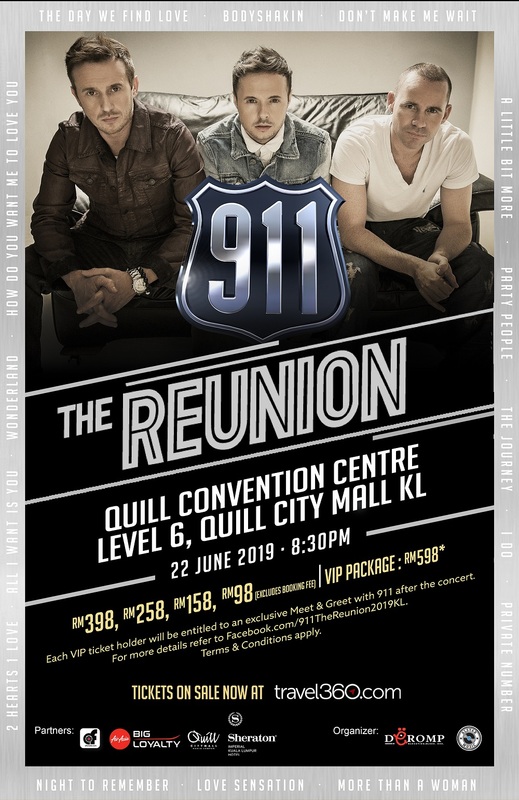 There is also limited VIP package priced at RM598, of which VIP ticket holders will be entitled to an exclusive Meet and Greet with 911 after the concert. The trio themselves are also excited about this comeback tour and they have sent their personal greetings to the Malaysian fans. "We have been waiting for this day! It’s been too long, Malaysia! I hope our fans will come together to join us at this Reunion Party in KL. Malaysia is truly special to us," Lee said. "Yeah come out and party with us. Let’s make it a night to remember," Jimmy expressed, referencing their first single. "And do the Bodyshakin’!," Spike added, who recently visited Kuala Lumpur last November. Over the years, the pop group won hearts all over the world with hits like "Don't Make Me wait", "Bodyshakin'", "The Day We Find Love", "A Little Bit More", "Party People", "All I Want Is You", "Private Number", and more. When 911 was at the peak of their career, they sold millions of albums and made it to the top 10 hits in the British charts many times. They also achieved tremendous success in Southeast Asia, where their first two albums made it to the number one spot. Since then, "The Journey" has become the group's best-selling album, especially in Malaysia. The album topped the local charts and reach Platinum 12 times! So, don't miss 911 live in person and visit this Facebook page for the latest concert updates.